I have a comparison card to show you today. This is another card we made at our Chalk-a-holics meeting. 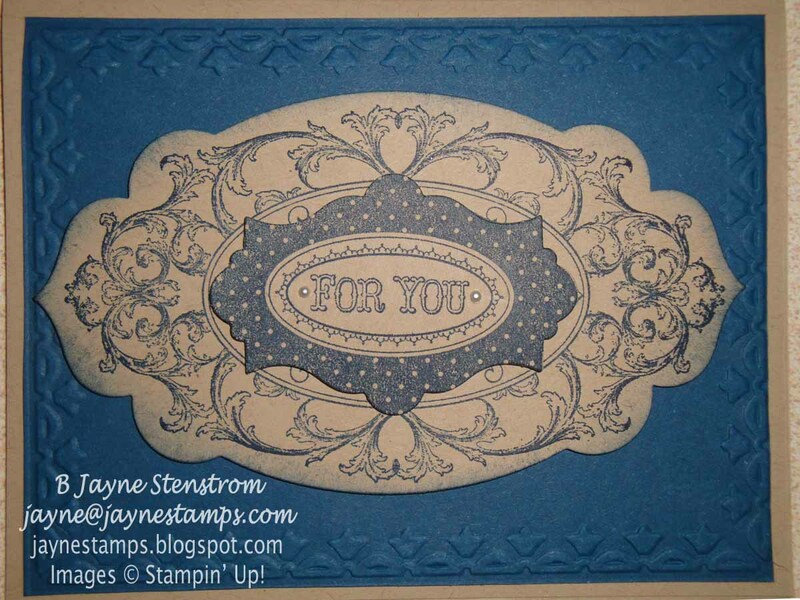 They are both made with Crumb Cake card stock for the base and Midnight Muse cardstock for the next layer. 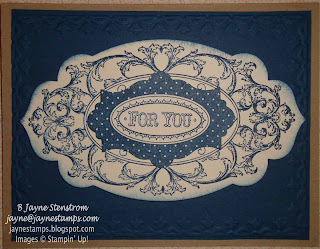 The Midnight Muse card stock was embossed with the Framed Tulips Embossing Folder. 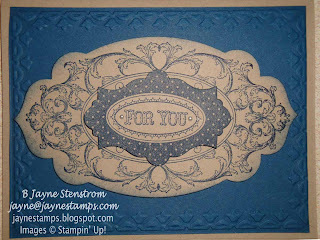 The main images are stamped with the Layered Labels stamp set in Midnight Muse ink and cut out with the Apothecary Accents Framelits then the edges are sponged. They are both embellished with some Basic Pearls. So what's the difference you might ask? The first one has the image(s) stamped onto Crumb Card card stock. The second one has the main image(s) stamped onto Very Vanilla cardstock. Can you believe such a simple change can make such a big difference? 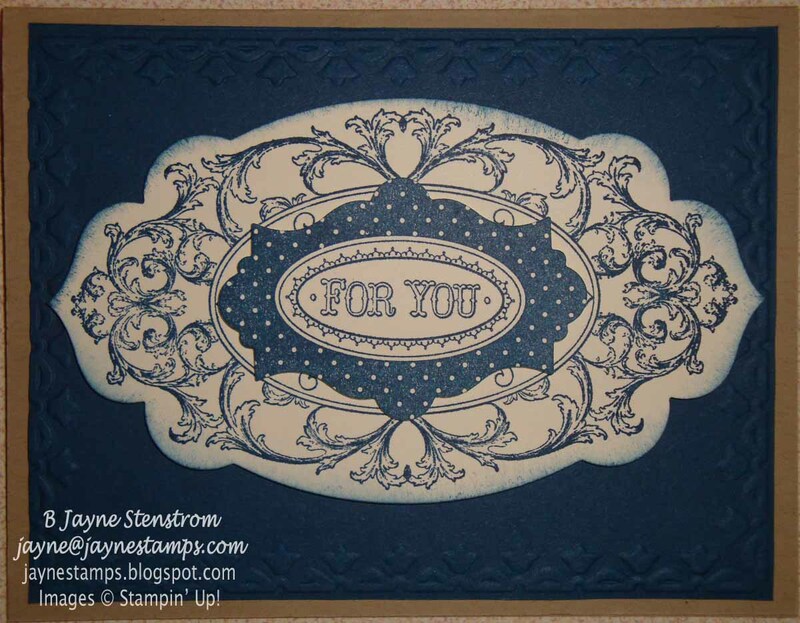 Next time you are making a card, try changing up the card stock that you stamp your main image onto - maybe instead of Whisper White, you might try Very Vanilla, or Crumb Cake, or one of the Naturals card stocks. You may be pleasantly surprised with the way it looks!